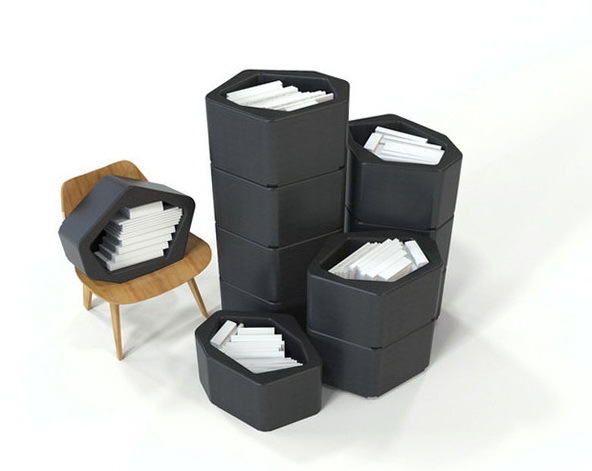 These shelves are easy to handle, and you can make them yourself out of the individual modules. 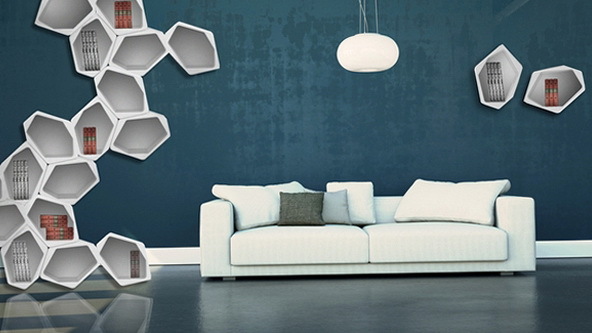 These shelves will bring a modern touch to the interior. 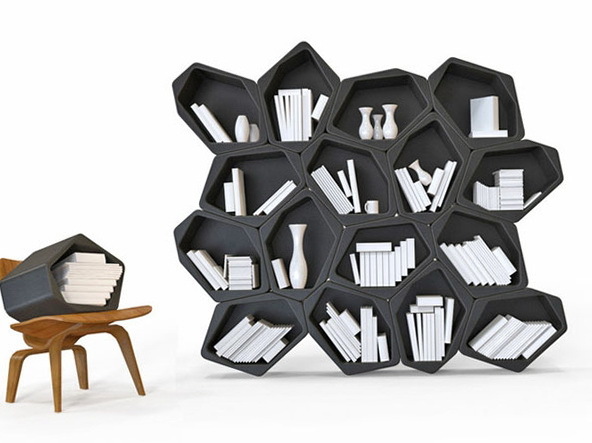 All elements in the form of shelves made of hexagons, which makes them widely. All units can be interconnected. 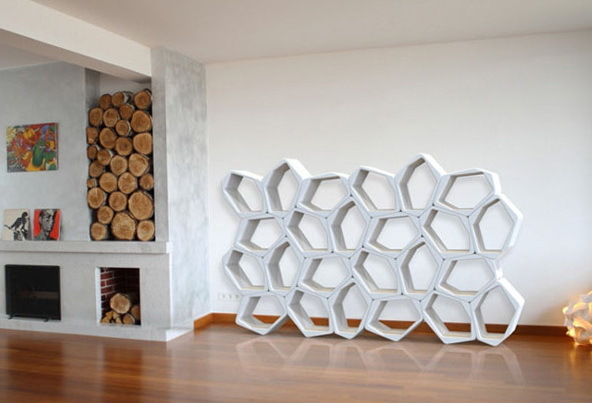 These shelves can be made out as a baffle that can serve as a wall. On the one hand, can be stored for example books, on the other hand other things.